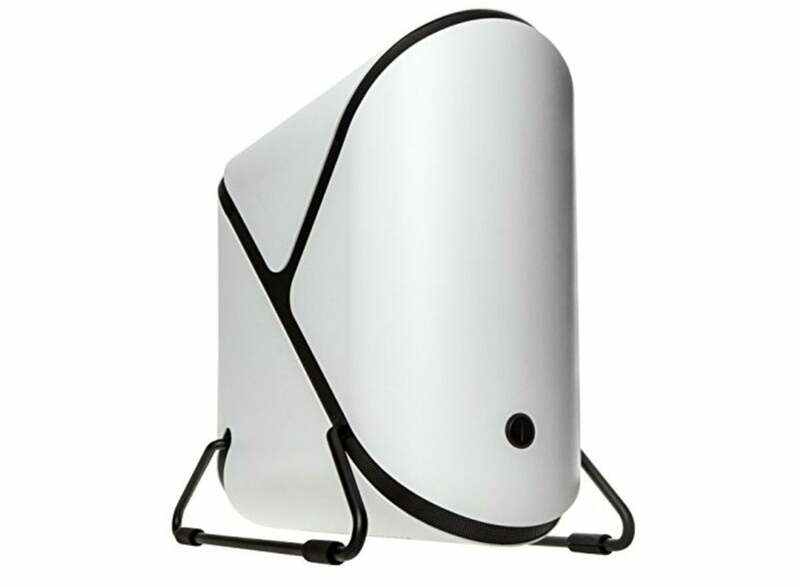 The Bitfenix Portal puts a unique spin on mini-ITX cases with a design derived from Valve's beloved Portal game. One of the best budget PC cases I’ve built in is Deepcool’s Tesseract ($52 on Amazon). 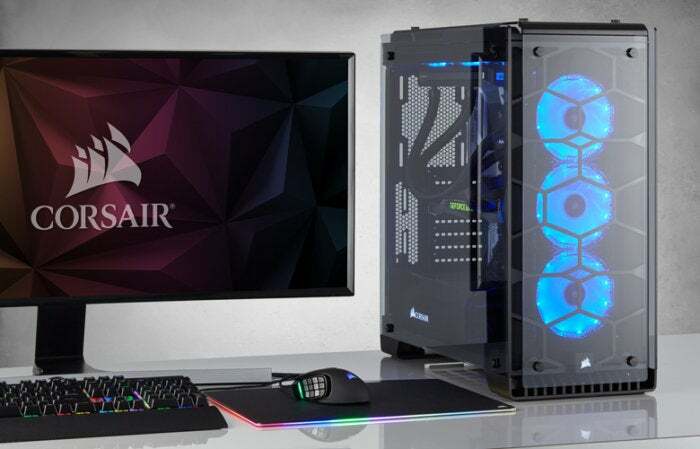 This affordable mid-tower has decent elbow room, the aforementioned duo of case fans, and plenty of drive bays—though it won’t fix extra-long graphics cards like the beastly Asus Strix. That’s solid for the price. We’ll talk about more recommendations toward the end of the article. Make sure you like the look of the PC case you’re buying! You’re going to be staring at it for years to come, so this is not a superficial consideration. 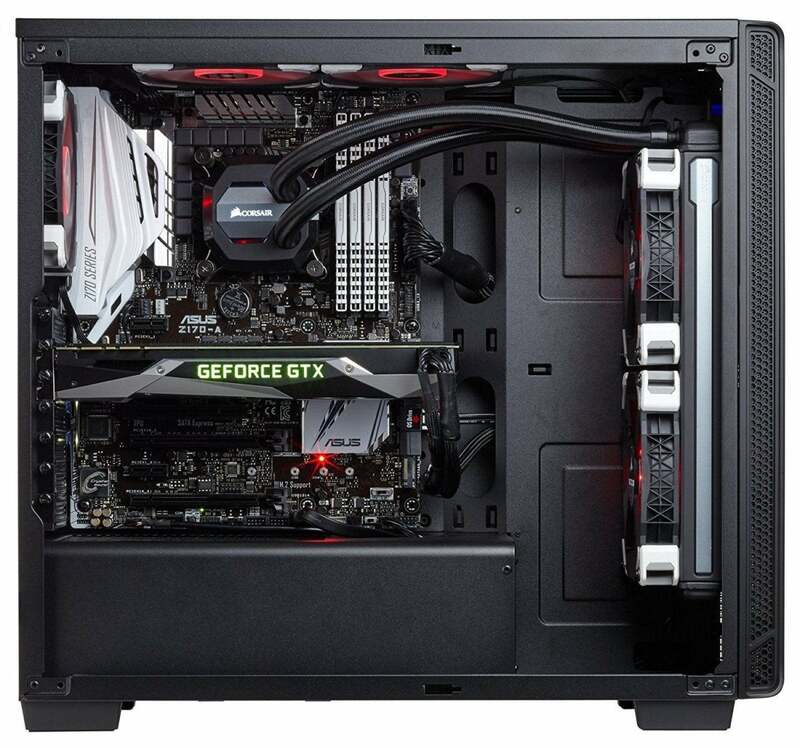 Every online retailer shows PC cases from multiple angles on their store pages, so there's no excuse for buying ugly. CPU cooler cut-away: Speaking of the motherboard tray, some nicer PC cases include large cut-outs in the section behind your processor, which let you replace your PC’s CPU or CPU cooler without ripping out your entire motherboard. It’s not a feature you’re likely to need often, but if you do, it’s a godsend. Front-panel connectivity: If you’ve got a lot of external devices, check out the front-panel connectivity of the PC case. 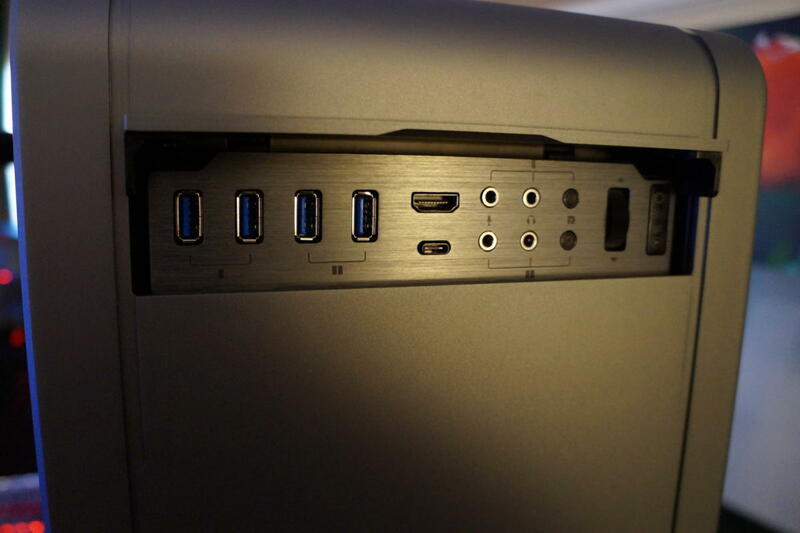 Even cheap cases have a couple of USB-A Type 2.0 ports in the front. Some will include USB-A Type 3, USB-C, and even fan or RGB lighting controllers. You’ll often find front-panel audio jacks as well, though we’d always recommend plugging your headset directly into the audio jack on your motherboard’s rear I/O shield. High-end cases (like this Phanteks Enthoo Elite) offer much more advanced front-panel connectivity. Fans and airflow: The more fans you have in your PC, the better your airflow is likely to be. At the very least, you want two fans for optimal airflow—an intake in the front and an outward-blowing fan in the rear. Some budget PC cases include only a single fan, and your PC’s temperatures and performance will suffer for it. Even if they aren’t populated, many cases include additional fan mounts that allow you to upgrade your cooling later. 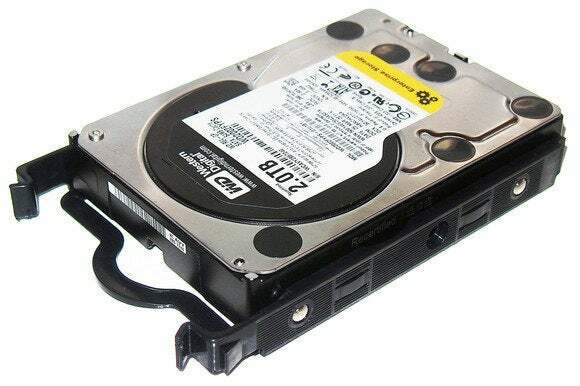 As mentioned before, some cases are ditching 5.25-inch drive bays to remove airflow obstructions for the front fans, though you obviously wouldn’t want a case like that if you needed one of those bays. Dust filters: Keeping your PC clean is important. A computer clogged with dust and pet hair and tobacco gunk is a computer that runs hot and throttles more often. Dust filters keep most of that debris from ever reaching your fans, much less your precious internal hardware. Sound-dampening: Soundproof cases keep your rig running quiet, often by using sound-dampening materials inside the panels of your PC. Those materials keep noise in but also tend to impede airflow, so soundproof cases often hit somewhat higher temperatures than standard cases. Nicer soundproof cases like the Fractal Design Define S ($80 on Newegg) manage to stay silent while also optimizing for airflow by including large 140mm fans spinning at low (and hence quiet) speeds. Water-cooling support: The rise of sealed all-in-one coolers have made liquid-cooling more popular than ever. If you plan to water-cool your PC, pay fine attention to the support provided by your case. 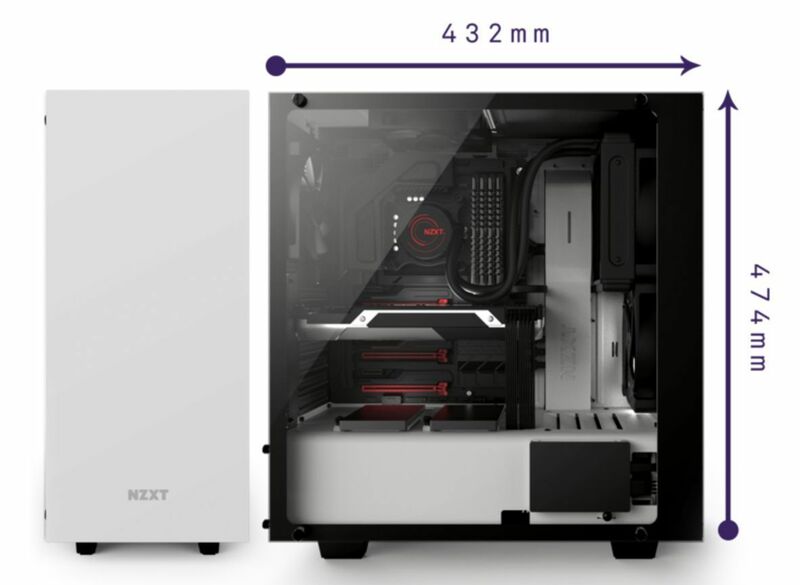 You probably won’t be able to use liquid-cooling whatsoever in most mini-ITX cases, and many mid-tower cases only support up to 240mm radiators—and placement of that liquid-cooling radiator may be limited to only the top or bottom of the case, depending on the case’s dimensions. If you want a beefy 360mm radiator, you’ll often need to step up to a full tower case, though unusually large mid-towers like the Phanteks Enthoo Evolv Tempered Glass ($190 on Amazon) can sometimes squeeze them in as well. Some pricier cases also have large swatches of interior space dedicated to liquid-cooling reservoirs for custom loops. 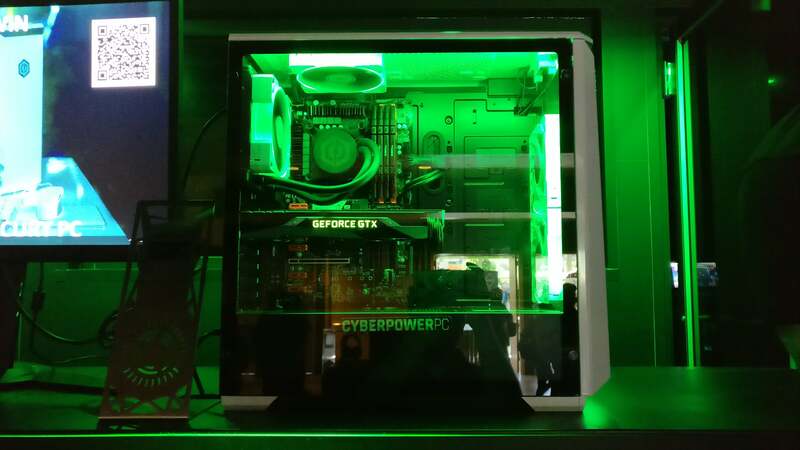 Tempered-glass panels: Many newer PC cases include panels consisting entirely of tempered glass, presenting an unfettered look at your PC’s inner hardware. It’s gorgeous, but brittle—handle with care! You’ll start to find tempered-glass options around the $100 range. Let there be light. Or not. It's up to you! Integrated lighting: Customizable RGB lighting is 2017’s biggest craze in computer hardware, and that includes PC cases. You either love RGB or you hate RGB. Either way, it’s easy to find cases that meet your aesthetic tastes. We don’t do many formal PC case reviews at PCWorld, but we’re constantly building PCs in all sorts of rigs. Here are some of our favorites in each price point. Cooler Master Elite 130: Like all budget PC cases, the Cooler Master Elite 130 ($50 on Amazon) isn’t fancy. 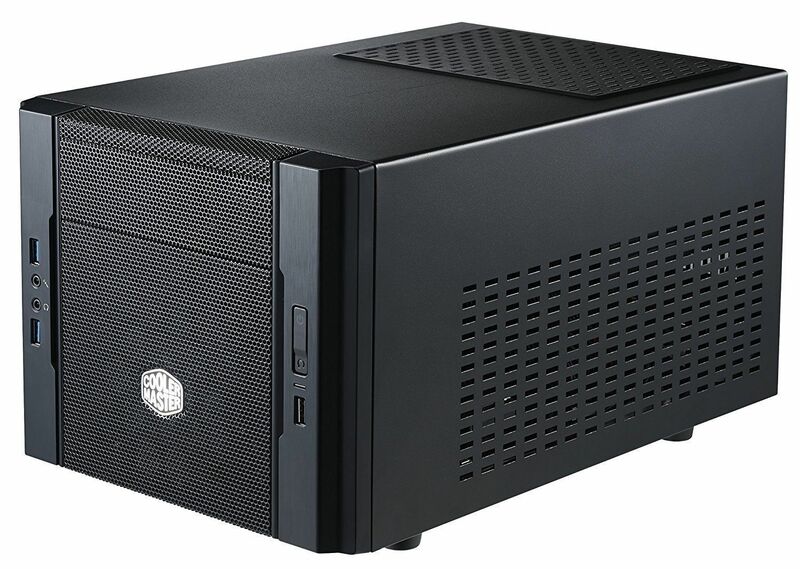 But this tiny mini-ITX case is a common sight at LAN parties thanks to its affordable price and easy-to-carry design. 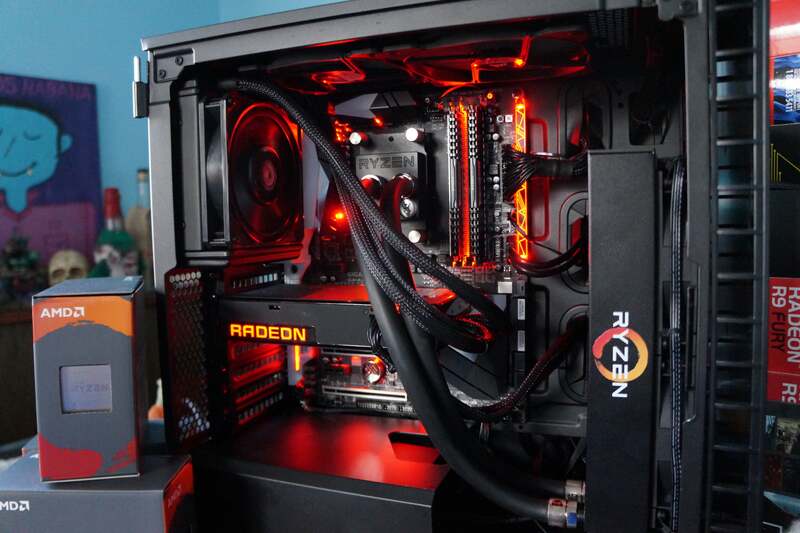 It’s also compatible with 120mm CPU liquid-coolers and graphics cards up to 13.5 inches long. Deepcool Tesseract: The aforementioned Deepcool Tesseract ($52 on Amazon) is a decent-sized mid-tower with two fans, sturdy-enough design, and all sorts of drive bays. It’ll fit any graphics card you throw at it except for monsters like the Asus Strix GTX 1080 ($570 on Amazon). Corsair Carbide 270R: The no-frills Corsair Carbide 270R ($70 on Amazon) succeeds in getting out of your way. It’s dead-simple to work with, includes cable management options you won’t often find in budget cases, and the performance you get for the price is solid. Some notable extra touches include a power supply shroud to hide unsightly cables, and the ability to fit a 360mm liquid-cooling radiator in the front, a 240mm radiator up top, and a 120mm radiator in the rear. Fractal Design Define C: The Fractal Design Define C ($90 on Newegg) supports the same extensive liquid-cooling support, as like Corsair’s Carbide series it dumps traditional 5.25-inch bays in the front to improve cooling. (It also ditches all but two 3.5-inch drive bays, which may give some folks pause.) This case upholds Fractal’s reputation for well-built, easy-to-use hardware—and it’s built for silence, with sound-dampening material inside and noise-blocking vent covers. Just don’t try to use a massively long graphics card in the tiny Define C.
Corsair Carbide Clear 400C: I’ve used the Corsair Carbide Clear 400C ($100 on Amazon) in several builds thanks to its clean design. The case has an incredibly small footprint for a mid-tower, but removable hard drive cages and the lack of 5.25-inch bays inside give the Corsair 400C a ton of elbow room inside. Heck, I even managed to cram the water-cooled Radeon Fury X and a Ryzen 7 1800X ($429 on Amazon) with a gigantic 240mm EKWB liquid-cooler inside this thing. 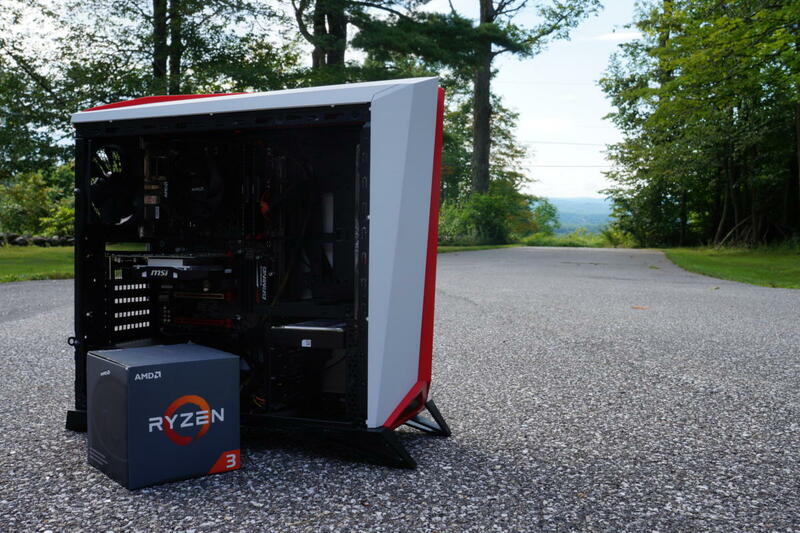 The PSU shroud and latch-opened side panel are just icing on the cake. NZXT S340 Elite: The NZXT S340 Elite ($95 on Amazon) shows off everything with its massive tempered glass side panel, but helps you keep things clean inside thanks to abundant hardware space and cable management features. Other niceties include an all-steel construction, and HDMI and USB 3.0 ports on the front panel for easy usage with VR headsets. Corsair Crystal 570X RGB: PCWorld’s Full Nerd podcast named the Corsair 570X ($180 on Corsair.com) the best PC case of 2016, and it’s easy to see why. Rather than having a simple see-through panel, almost every edge of this beautiful beast—the top, front, and side panels—consist of tempered glass. That sleek look is augmented by a trio of front-side fans with customizable RGB lighting that can be tweaked using a controller on the top of the case. 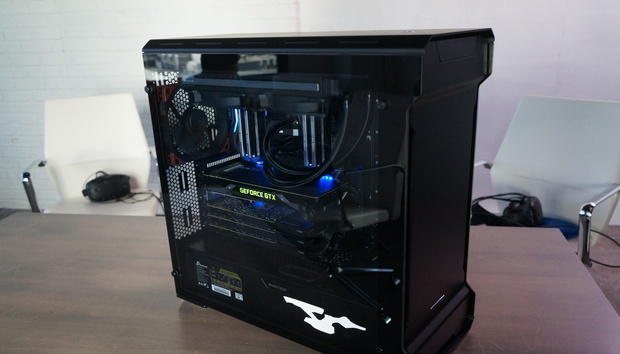 Tool-less design and a roomy interior make building inside the Corsair 570X just as dreamy as staring at it. Phanteks Enthoo Evolv ATX Tempered Glass: The home of my own personal rig, the Phanteks Enthoo Evolv ATX Tempered Glass ($190 on Amazon) is a luxurious case built from aluminum and tempered glass, highlighted by customizable RGB accents on the front panel. The clean exterior hides hard drive cages and power supply alike, and the comparably massive Enthoo Evolv has ample room even for multiple graphics card setups. Cooling’s a priority, with an offset radiator bracket, reservoir mounting locations, and even a PWM fan hub. 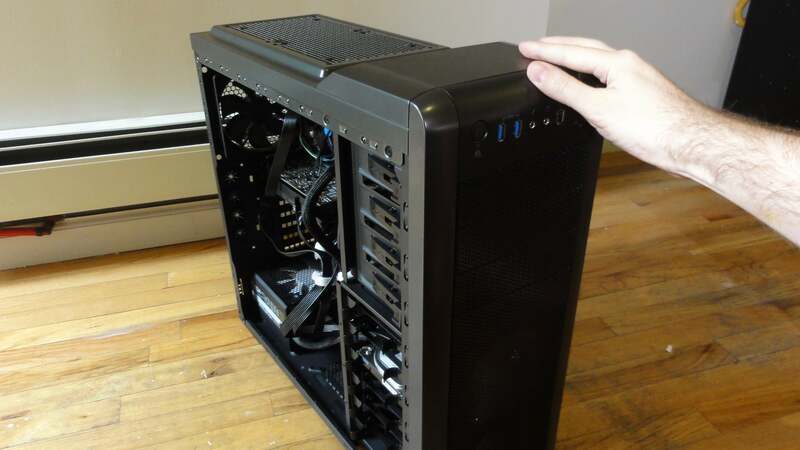 You’ll need it: The solid front panel of the case doesn’t help air flow easily into the case, though the trio of included front-side fans still manage to keep things cool.